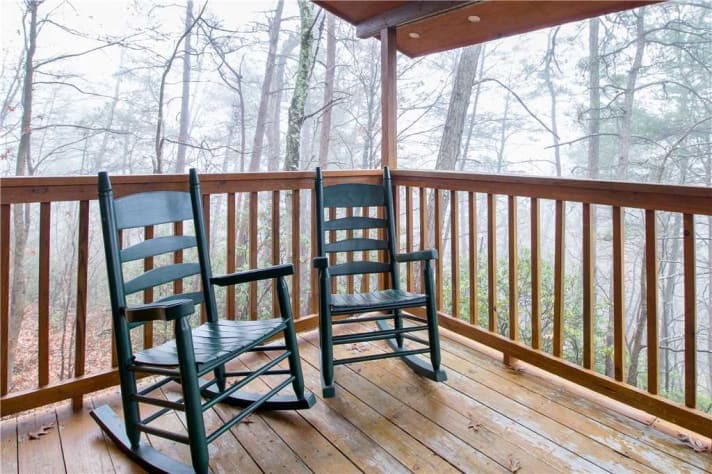 Smoky Mountain cabins don’t get much more romantic and restful than Bearadise. 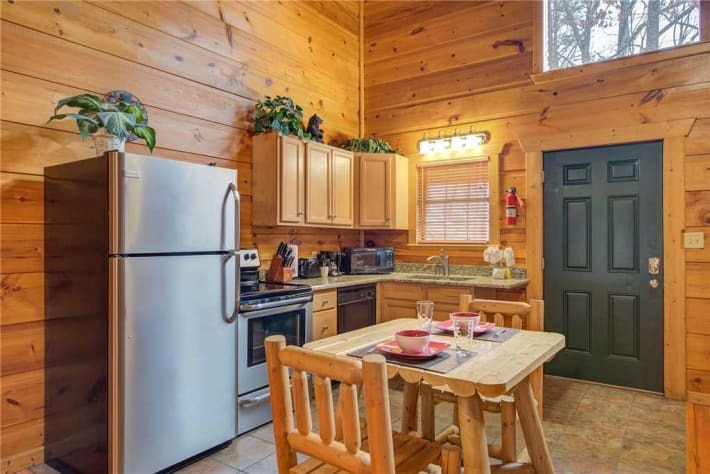 Nestled among towering trees in a seemingly secluded area of Gatlinburg, the one-bedroom log cabin is private and peaceful. 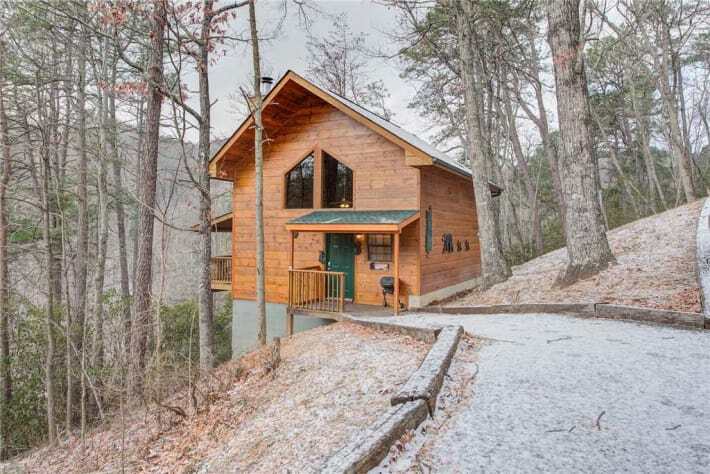 Yet it’s also only a ten-minute drive to the excitement of downtown Gatlinburg. The open-plan main floor is both rustic and sophisticated, with lustrous wood-planked walls, a towering cathedral ceiling, a stone-surround fireplace, and log-style furnishings. 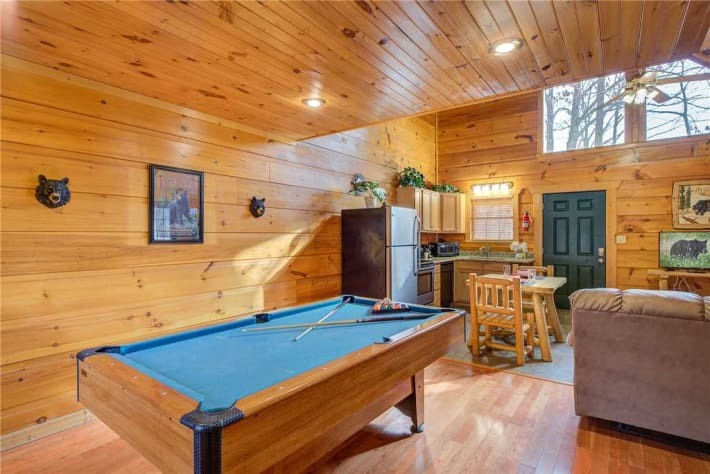 There’s enough room of the leather sofa for you and your sweetheart to stretch out as you watch a movie on the flat-screen TV with cable or surf the web to plan your next day’s adventures. 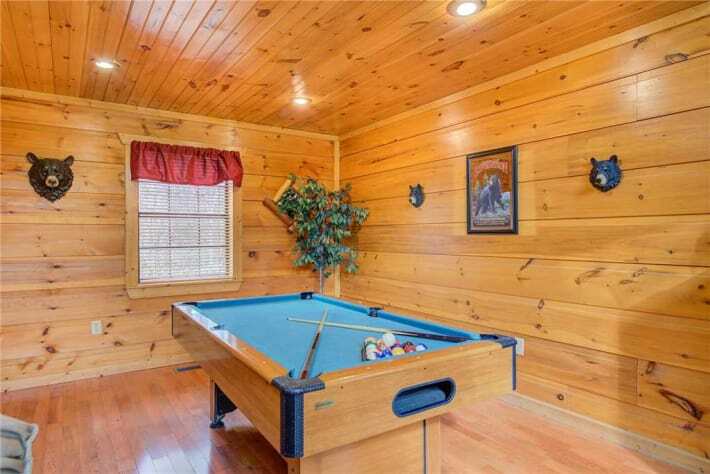 Or you can shoot some pool at the full-size table—winner has to cook breakfast the next morning! Bearadise’s superlative location means you have a wealth of restaurants to choose from just minutes away. Sometimes, though, it’s more relaxing (and romantic) to dine in. 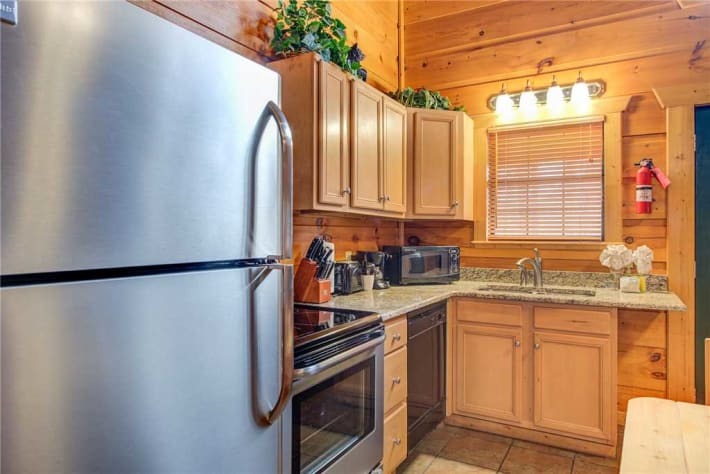 Equipped with a full array of stainless-steel appliances, cookware, and tableware, the kitchen can handle a cup of coffee and a multicourse feast with equal aplomb. There’s a charcoal grill outside too. 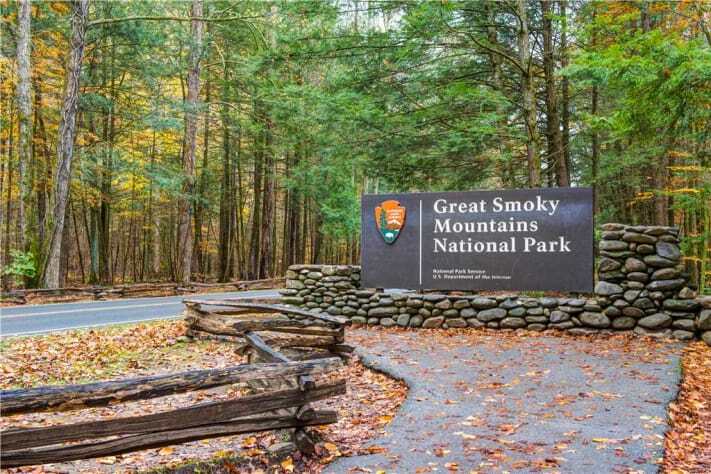 If you reel in trout from one of the local streams, grill it for a perfect taste of the Smoky Mountains. 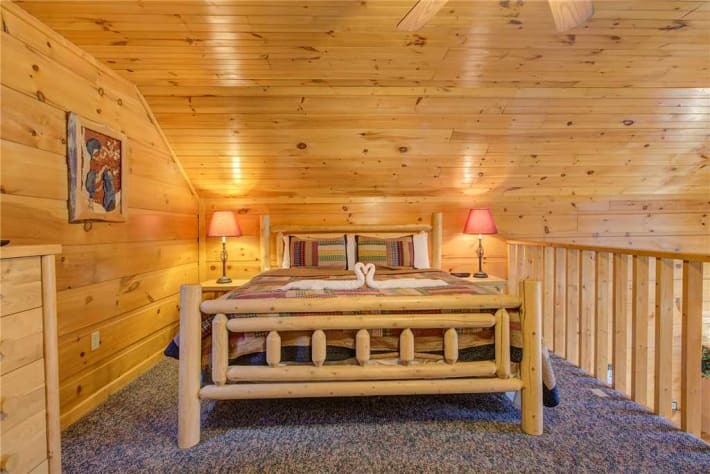 The bedroom makes up the loft level of Bearadise, and it is a haven in and of itself. 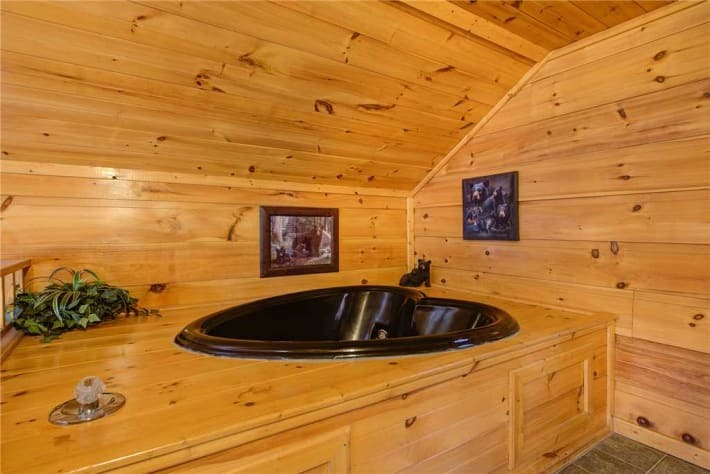 Along with a sumptuous king-size bed, a flat-screen TV, and ample storage, the room has a heart-shape jetted tub. Indulge in a languorous soak among the steamy bubbles before snuggling into bed with your special someone. If the trilling whip-poor-wills and chirping crickets in the woods don’t lull you to sleep, the gentle breeze of the ceiling fan certainly will. 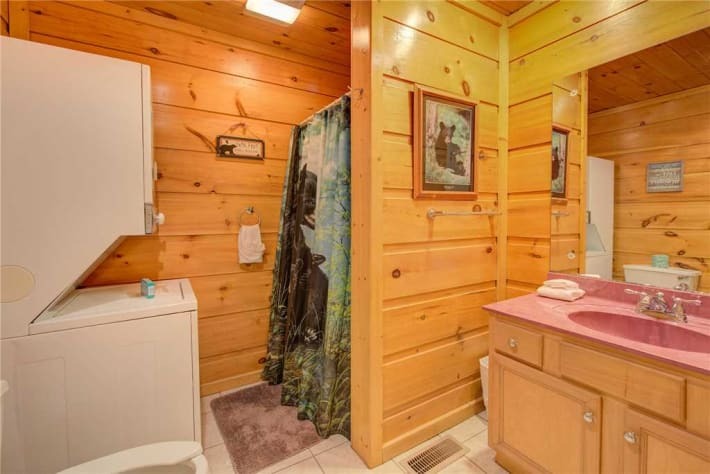 The bathroom, located on the main floor, includes a shower along with a washer and dryer. Not only can you pack lighter than usual, but you can return home with clean clothes as well. 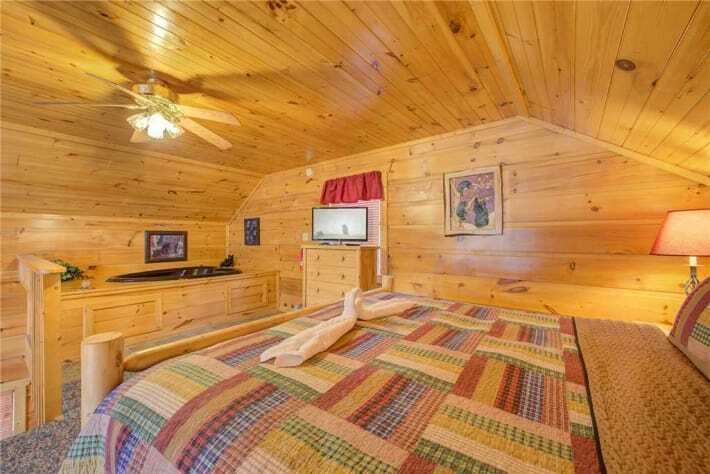 When you arrive at Bearadise you’ll find plenty of clean towels, the bed impeccably made up, and extra bedding ready and waiting, so if you want to make a nap or a soak your first order of business, you can. 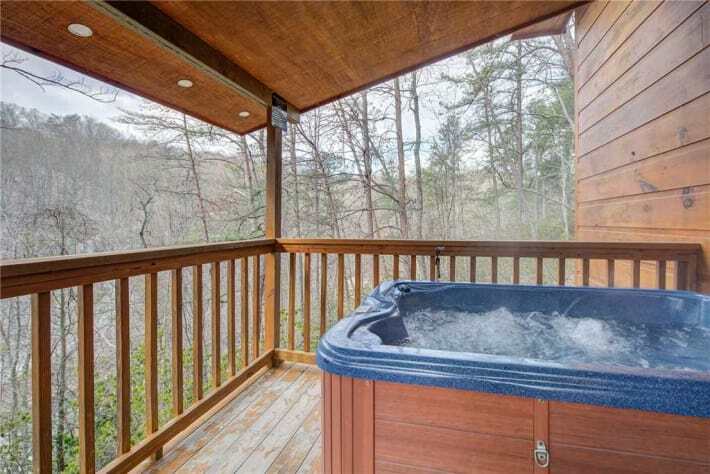 And speaking of soaks, in addition to the heart-shape jetted tub in the bedroom, Bearadise has a hot tub on its covered deck. 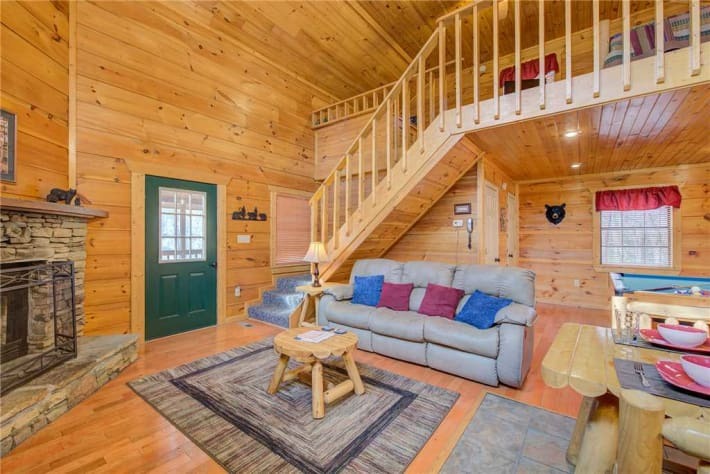 When you return to the cabin after a day spent hiking, biking, or skiing, a soak amid the fresh mountain air will soothe your tired muscles and have your rarin’ to go all over again. Or luxuriate among the massaging jets of water in the evening, in the silvery moonlight, as owls hoot in the distance. It’s simply magical! You might find it difficult to tear yourself away from Bearadise’s cozy comfort and pampering amenities. 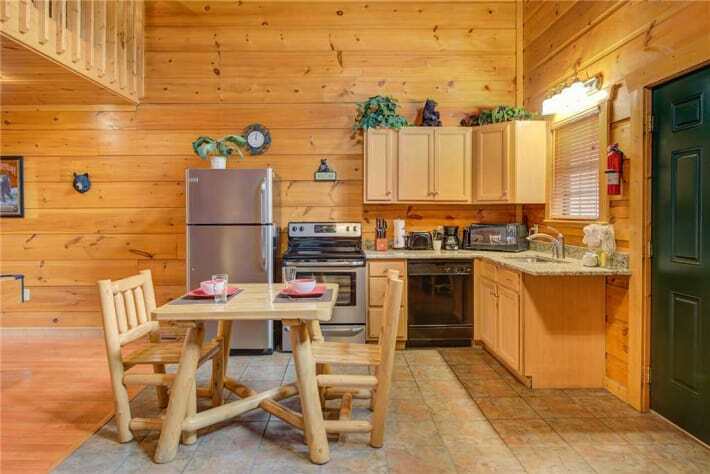 But you’ll want to take advantage of the cabin’s proximity to the local attractions. 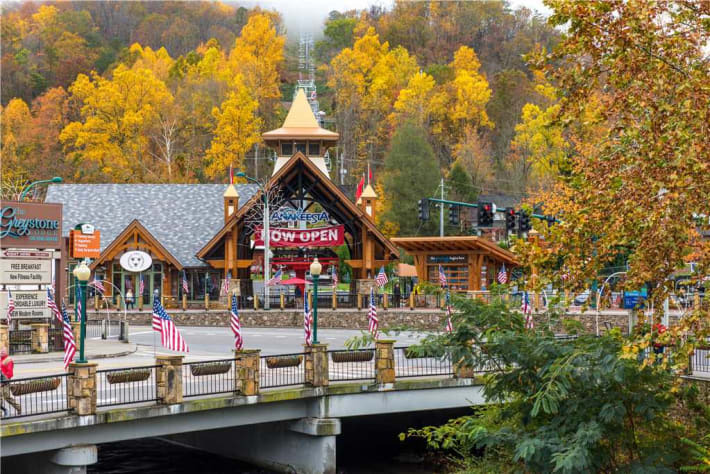 Bearadise is located within the Great Smoky Arts & Crafts Community, a neighborhood with more than 120 galleries, studios, and shops offering everything from watercolors to woodworking, candles to quilts. 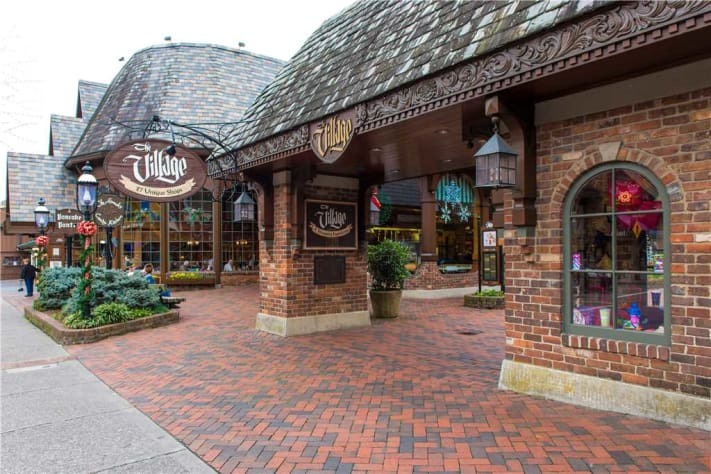 Only a few minutes farther is downtown Gatlinburg, home to the Guinness World Records Museum, Ripley’s Aquarium of the Smokies, restaurants, distilleries, shops, thrill rides, and a tram that climbs above the town to the Ober Gatlinburg Amusement Park and Ski Area. 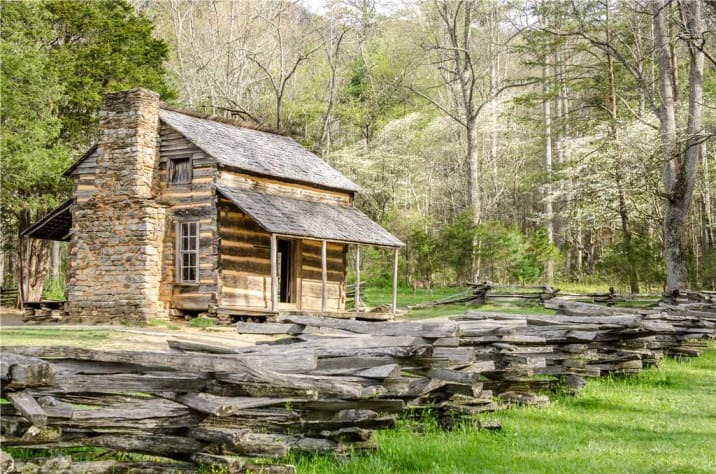 Just fifteen minutes from the cabin is the Great Smoky Mountains National Park, a true must-visit; see for yourself why it’s the country’s most popular national park. 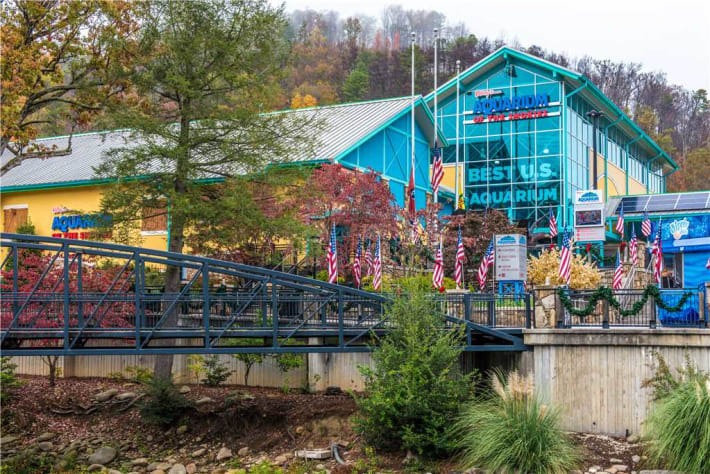 Even Dollywood, the Titanic Museum, and numerous other attractions of Pigeon Forge are less than a half-hour away. 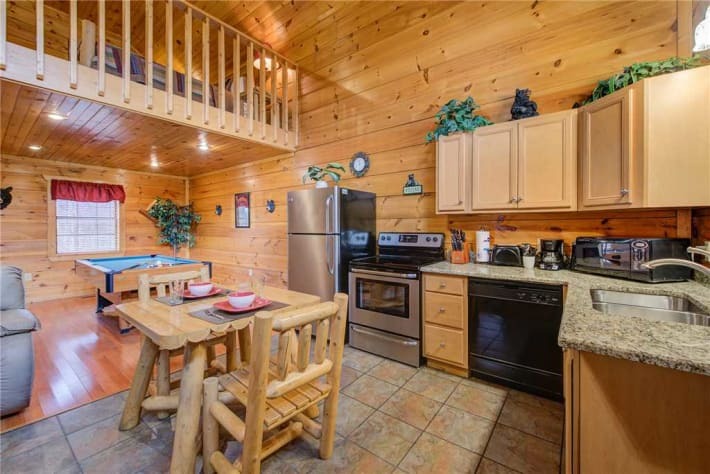 When you and your special someone stay at Bearadise, a wonderful time is practically guaranteed. Book your reservation today, and get ready to make memories that will last a lifetime!